Originating miles beneath the Earth’s surface, volcanoes are powerful agents of both destruction and renewal. Defined as an opening in the planet's crust that allows magma and gases to escape from below the surface, all volcanoes result from the fundamental forces of heat and pressure, but they are not all alike. The U.S. Geological Survey recognizes four principle volcano groups. Each volcano type has distinct features and characteristics. While most geologists agree on the classifications, there are some who argue current classification models do not include all types of volcanism. Shield volcanoes are characterized by broad, gently sloping flanks and a dome shape that resembles an ancient warrior's shield. These volcanoes are built almost entirely of layers of solidified basaltic lava flows. Most shield volcanoes feature a central summit vent, and often flank vents, that eject low-viscosity basaltic lava that flows long distances in all directions before solidifying. Shield volcano eruptions are typically effusive, not explosive, and pose little danger to human life. Shield volcanoes are among the largest volcanoes in the world. The Hawaiian volcanoes are shield volcanoes. Mauna Loa, the world's largest volcano, covers nearly half the island of Hawaii. With steep upper flanks and a symmetrical appearance, many composite volcanoes rank among the most famous mountains on Earth. Mt. 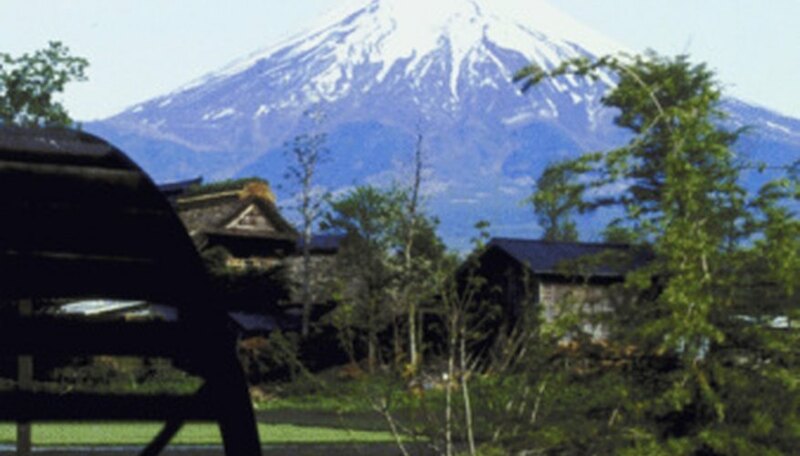 Fuji, Mt. Rainier and Mt. Etna are composite volcanoes. The term composite indicates these volcanoes are built from more than one type of material. Composite volcanoes are characterized by alternating layers of material such as ash and cinders, blocks and lava deposited by past eruptions. Sometimes called stratovolcanoes, composite volcanoes present more risk to people than other volcano types. They erupt explosively from a central summit vent or side vents, sending clouds of ash and vapor miles into the atmosphere. Flying rocks and lava bombs, mudslides and superheated pyroclastic flows often accompany composite volcano eruptions. In contrast to shield volcanoes, composite volcanoes typically produce high-viscosity rhyolitic or andesitic lava flows that descend a short distance down the mountain's flanks. Lava domes often form in the craters or on the flanks of composite volcanoes but they can form independently. Composite volcanoes typically produce high-viscosity rhyolitic magma that cannot flow far from the vent before it begins to solidify. When a mass of high-viscosity, usually rhyolitc, lava cools and solidifies over and around a vent, pressure from magma within the volcano expands the cooled lava from within, creating a lava dome. Lava domes may look like rough, craggy forms over a vent, or they may appear as short, thick lava flows with steep sides called "coulees." Rarely exceeding 1,000 feet in height, cinder cones are the simplest and smallest volcano type. Also known as scoria cones, cinder cones are common in most of Earth's active volcanic regions. Cinder cones are characterized by a circular cone of hardened lava, ash and tephra around a single vent. The cone is formed when volcanic material fragments and falls to the ground after being ejected into the air from the vent. Fragmented ash and lava build a cone around the vent as they cool and harden. Cinder cones are often found on the flanks of larger volcanoes and have steep sides and with a large summit crater. They are typically active for a geologically short period of time. Rhyolitic caldera complexes and mid-ocean ridges are forms of volcanism that do not fit into accepted volcano classes. Rhyolitic caldera complexes, such as Yellowstone Caldera, are ancient volcanoes that erupted so explosively they collapsed into the magma chamber beneath them, forming a giant crater, or caldera. An active volcano, Yellowstone Caldera last erupted 640,000 years ago. Although an eruption in the foreseeable future is remote, USGS measurements showed the surface of the caldera moved upward nearly 8 inches between 2004 and 2008, indicating increased pressure beneath the caldera. Mid-ocean ridges are undersea areas along tectonic plate boundaries where the plates are diverging. Baslatic lava emerges to fill the space where the plates separated, defining mid-ocean ridges as volcanoes. USGS: Steam Explosions, Earthquakes, and Volcanic Eruptions-What's in Yellowstone's Future? Donald, Doug. "Types of Volcanoes and Their Characteristics." 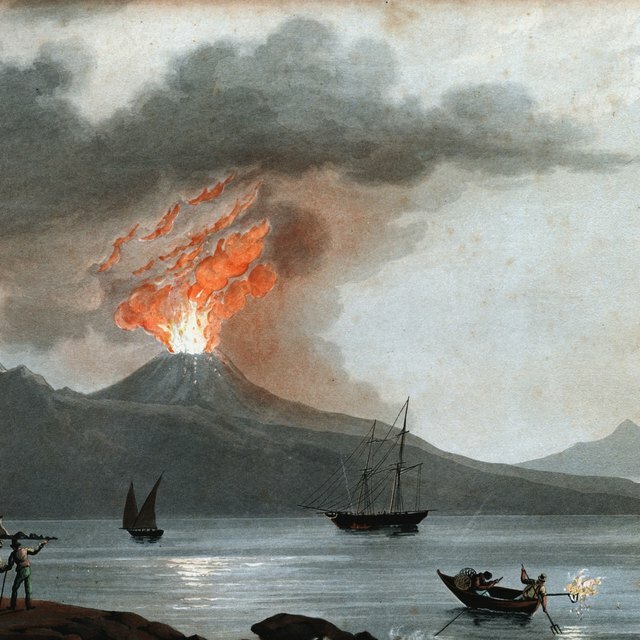 Sciencing, https://sciencing.com/types-volcanoes-characteristics-8433216.html. 24 April 2017.